SERVPRO of Scottsdale has the training and knowledge for your restoration clean up. 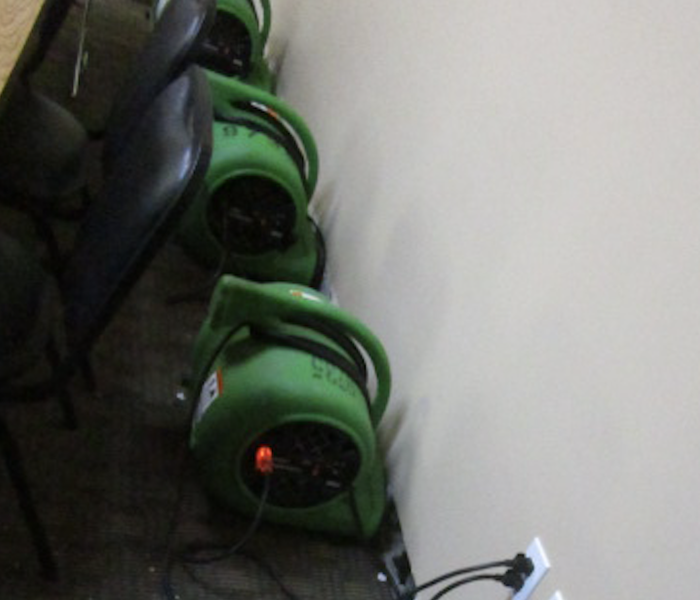 The team brought in equipment to help the drying process after the office suffered from a water loss. Call us today for your commercial or residential water loss. (480) 998-7989. 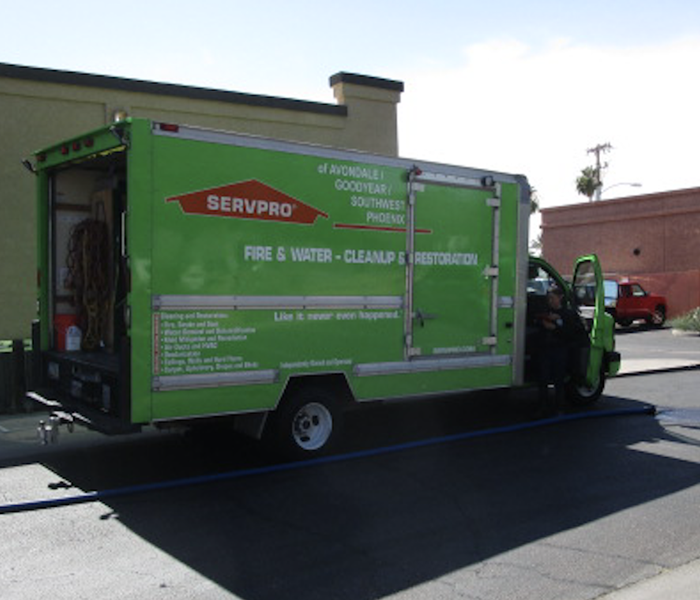 SERVPRO of Scottsdale is ready to respond to your Fire & Water Clean up and Restoration. No job is too big, or too small for the team at SERVPRO of Scottsdale. A fire broke out in this room causing a small fire damage. The team built a containment to keep the area separate from the rest of the home. The drywall was removed and rest of area cleaned professionally removed smoke and soot damage. 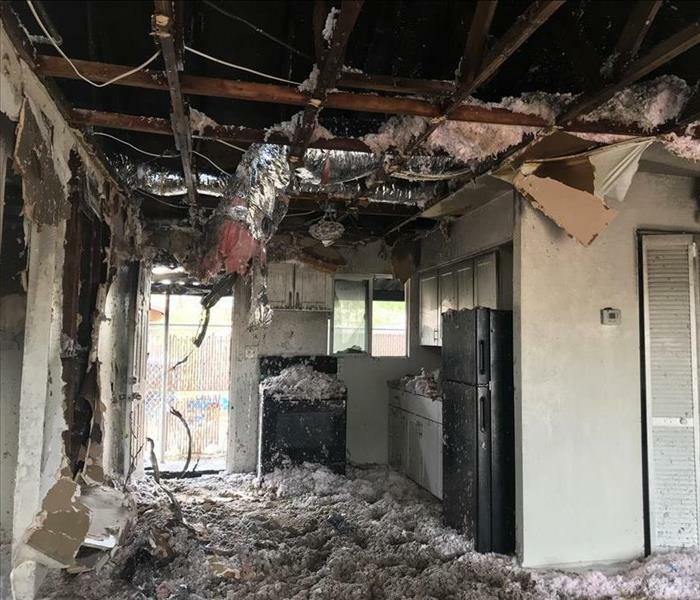 This was the aftermath of a house fire in Scottsdale, Arizona. 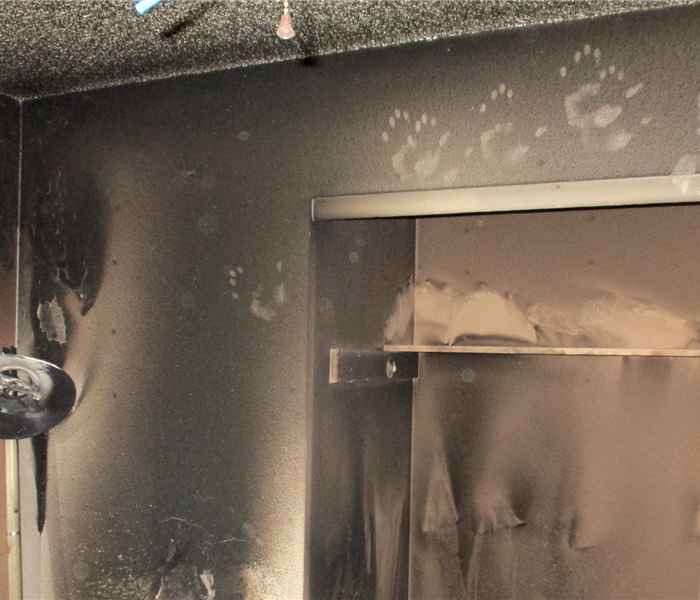 There was significant smoke and soot damage covering the walls, ceiling and flooring. The drywall was removed along with flooring and replaced with new. 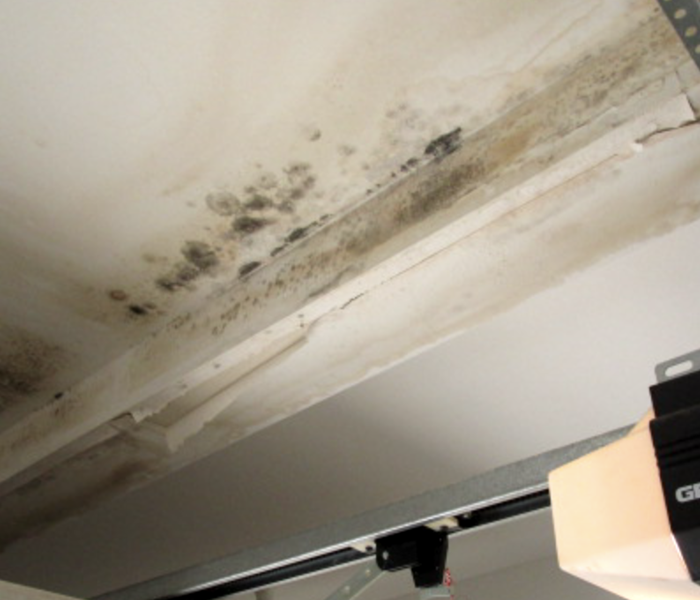 Significant mold damage was found on the ceiling and walls of this Scottsdale, AZ garage. The team responded immediately to begin Mold Remediation. The technicians are trained with techniques and cleaning equipment to safely remove the mold damage and restore back to normal conditions. The professionals at SERVPRO of Scottsdale is your trusted restoration company in Mold Remediation. The team arrived quickly to treat and remove the mold safely. 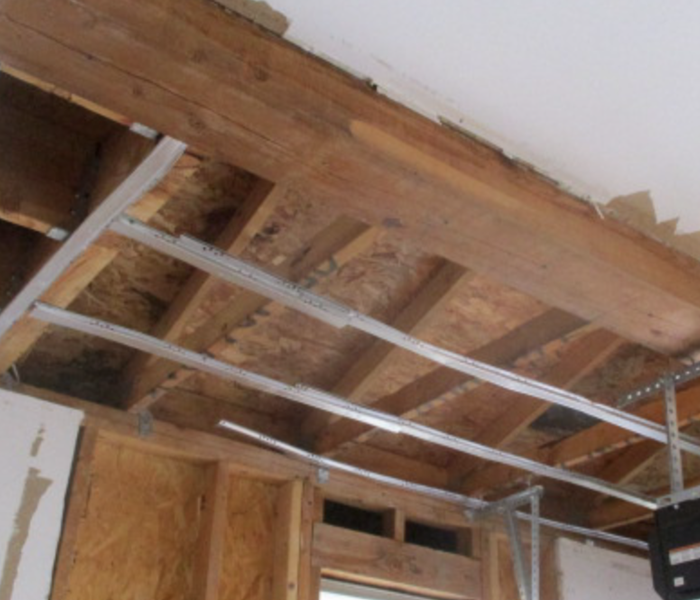 Once the damaged drywall was removed the surrounding areas were cleaned and treated for rebuild. SERVPRO of Scottsdale was called to this home to find water damage in the ceiling from a pipe break. The team has drying techniques and equipment to put in place for quick and effective drying. This was the aftermath of a water loss from a local storm. There was a significant of water in the floor. 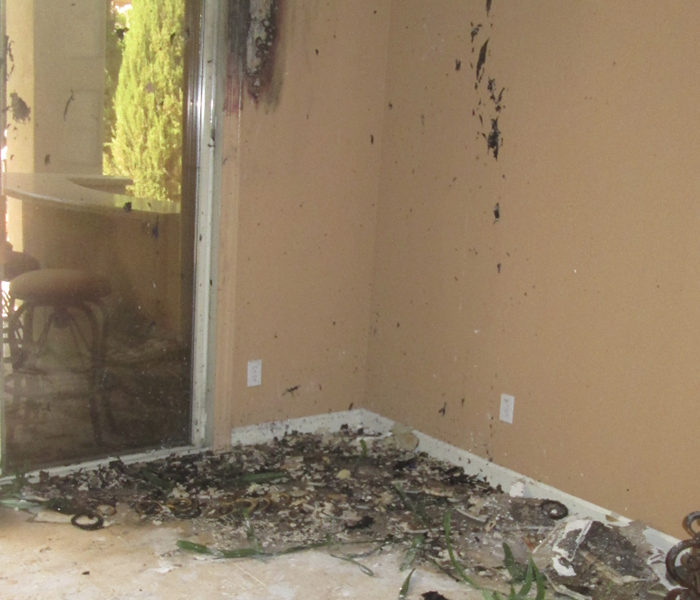 SERVPRO of Scottsdale was called and immediately arrived to assess and get started on the clean up process. This kitchen suffered from water damage after a storm hit the area leaving the floors flooded. SERVPRO of Scottsdale arrived immediately and begin the drying process. Air movers were put in place for quick and efficient drying. 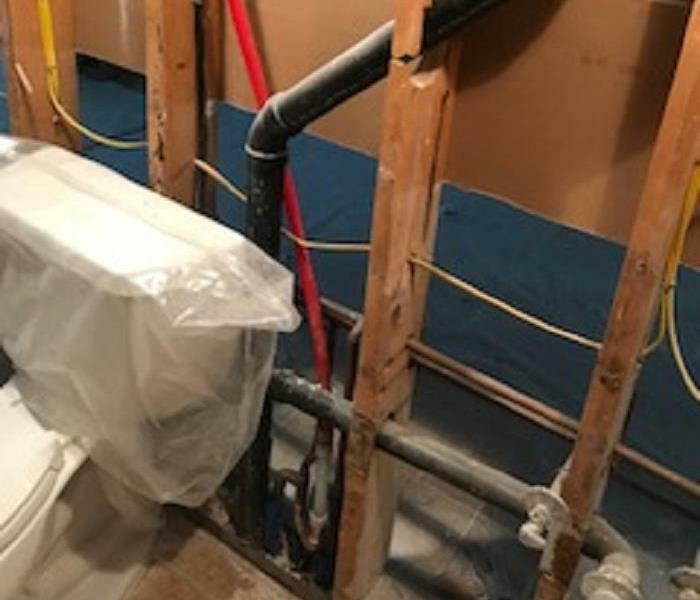 Significant water damage can leave the area in need of quick drying to prevent further damages. 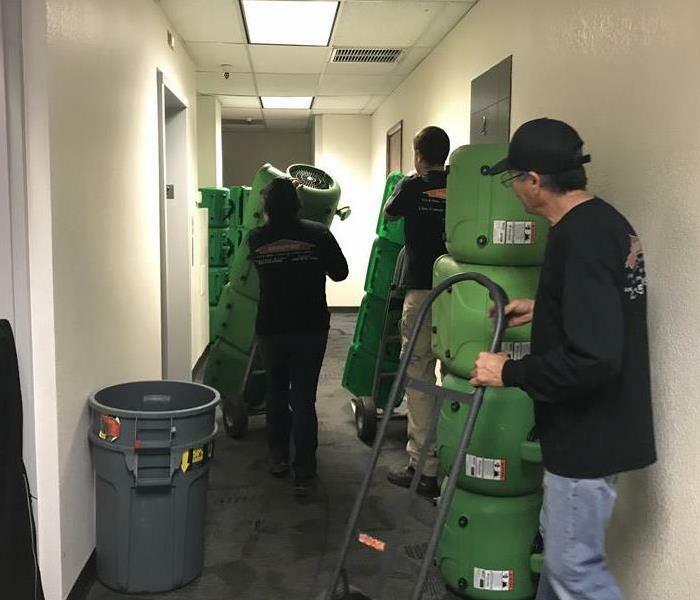 SERVPRO of Scottsdale uses air movers to put in place for efficient drying. Baseboards and carpeting was removed to dry behind potentially effected drywall and subfloors. This office suffered from a water loss. SERVPRO of Scottsdale responded immediately to begin clean up procedures. 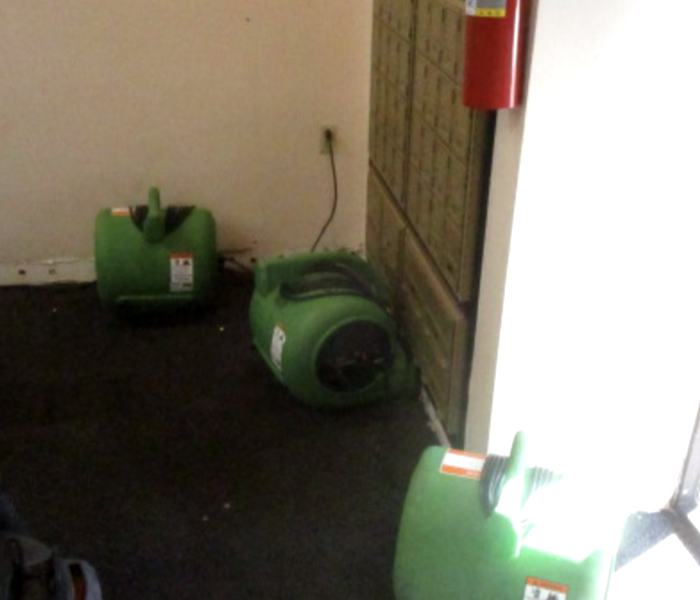 The air movers were put in place to quickly dry the area and prevent further damages. 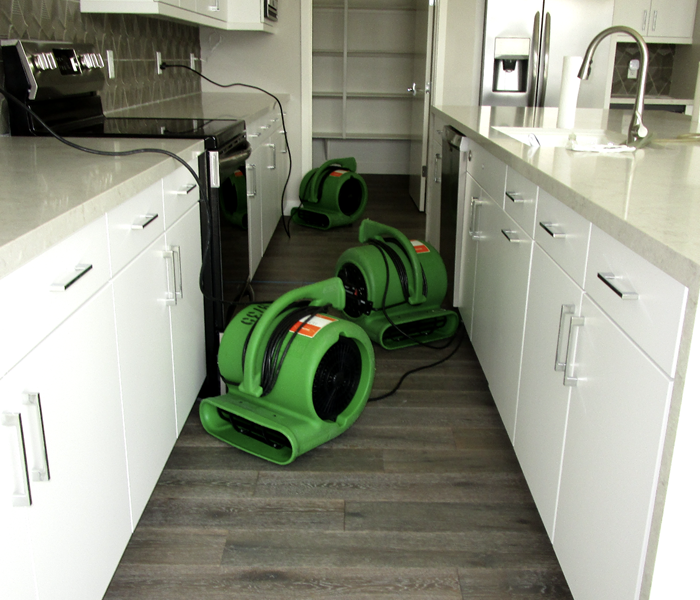 SERVPRO of Scottsdale has trained technicians ready to respond to your flood water damage. This store front had significant water damage after a rain storm. The team used drying equipment and special drying techniques to remove the water quickly, preventing future damages. 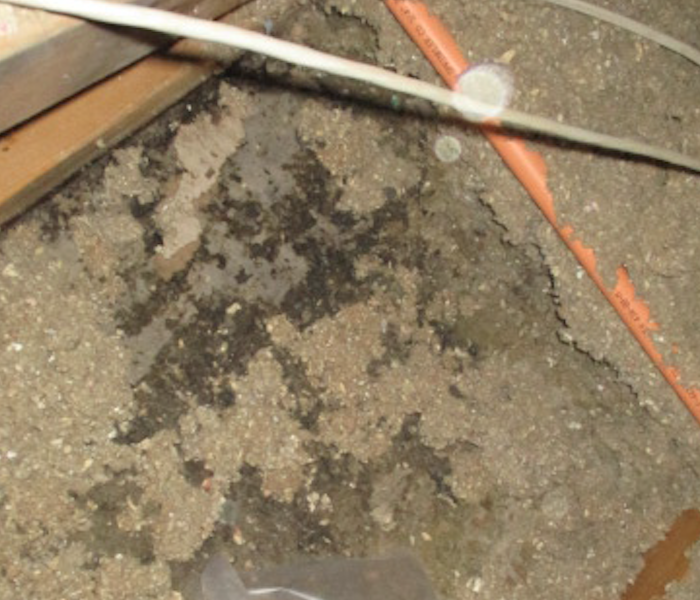 This commercial property suffered from signifiant amount of water throughout the building. The team arrived to assess and start clean up immediately. Equipment was brought in for quick drying to get the building ready and back open for business. 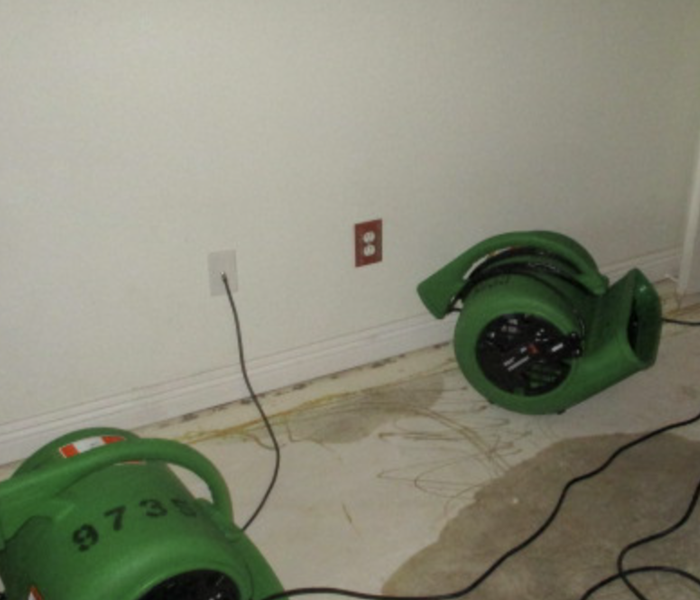 SERVPRO of Scottsdale has professional drying equipment clean and ready for your water damage. The team responded immediately to find significant water damage. The air movers were put in place for fast and effective drying. Our technicians are trained and ready for any size disaster in your home or business. The team is trained with special drying equipment for any type of water mitigation. Contact us today for your water damage. 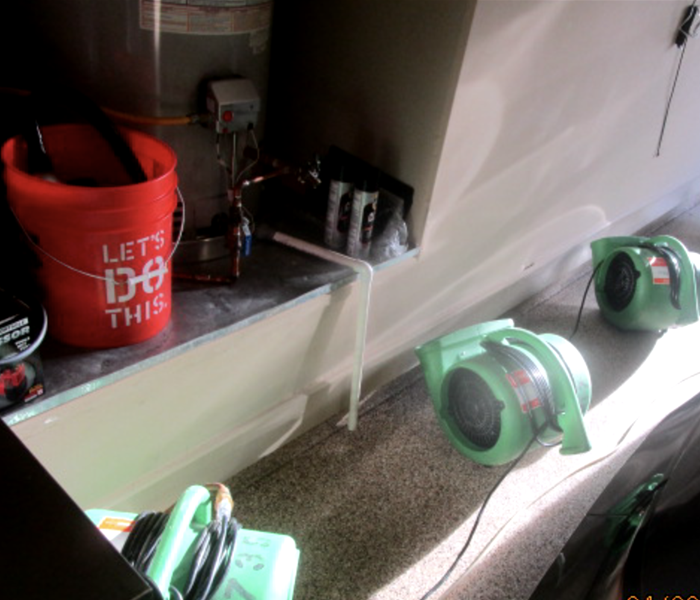 SERVPRO of Scottsdale has professional drying equipment for all your water restoration needs. 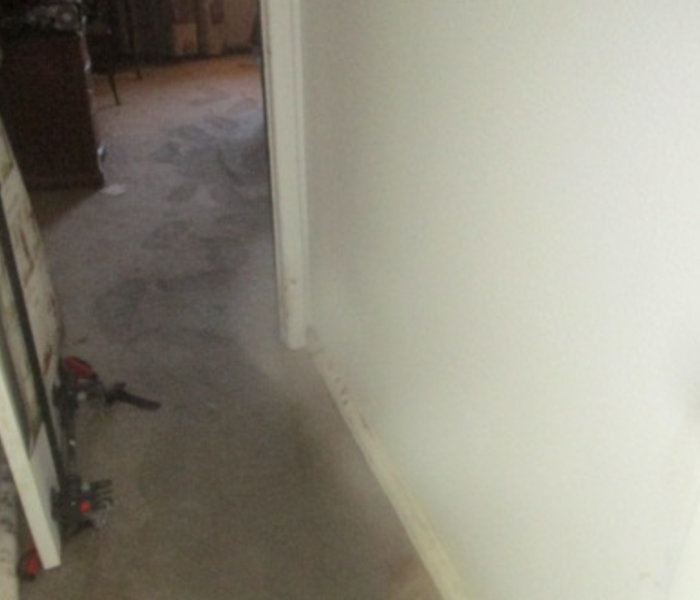 The air movers were put in place to dry the flooring and walls of this home quickly to prevent any future damages. 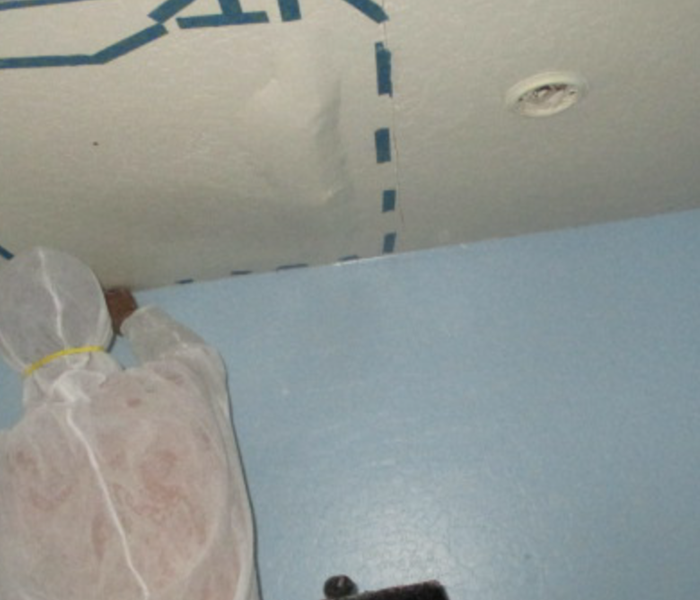 Mold was found in the insulation of this Scottsdale home. SERVPRO was called and assessed the damages. The team is professionally trained in Mold Remediation and how to properly clean and treat the areas effected. Contact SERVPRO for your Mold Remediation. There was significant mold damage found in the closet where the air conditioning unit was stored. 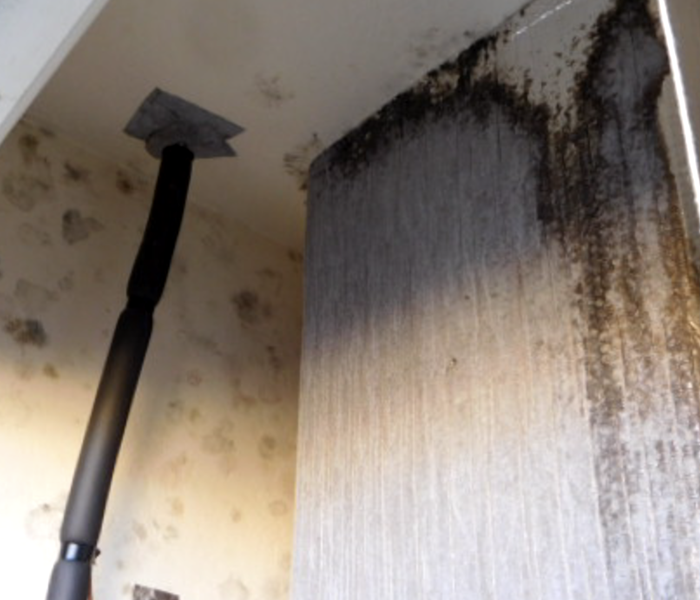 Proper ventilation is important to ensure moisture and water aren't present in which mold or mildew will grow. 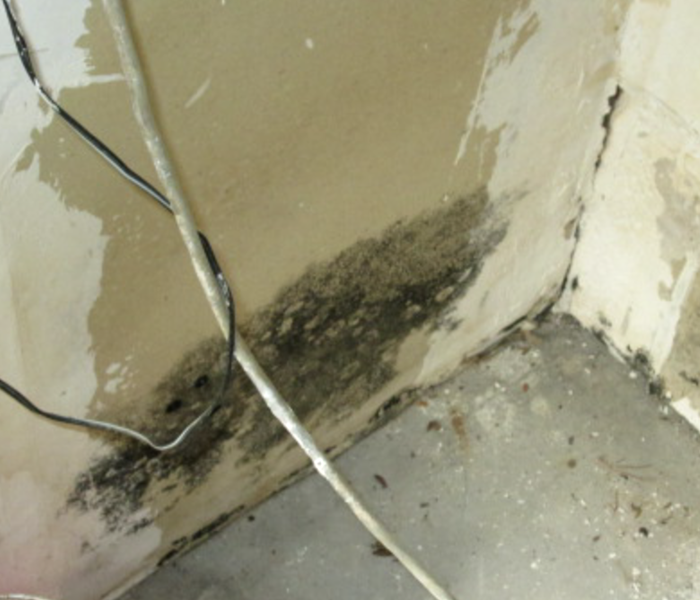 Contact us for professional help with your Mold. 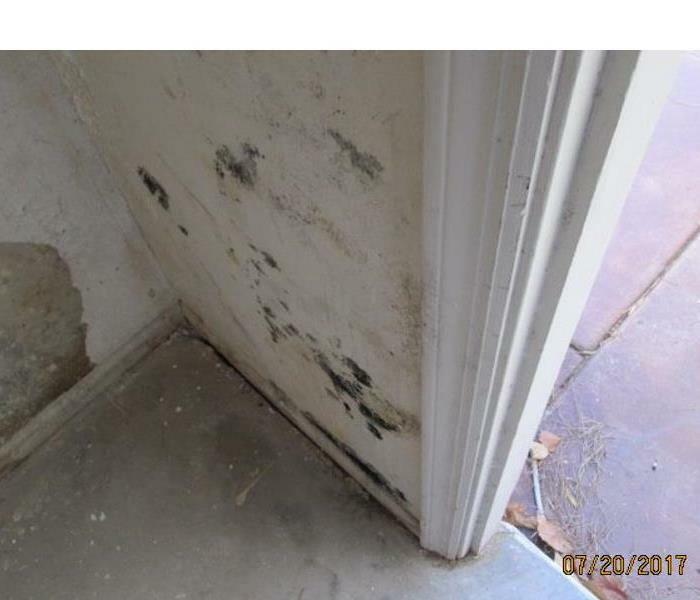 There was a significant amount of mold found on this wall in Scottsdale. SERVPRO responded immediately to assess the mold damage. The team has Mold experts ready to respond to your Mold Remediation needs. Contact us at SERVPRO. Severe storms in the Scottsdale area can leave severe damages behind. 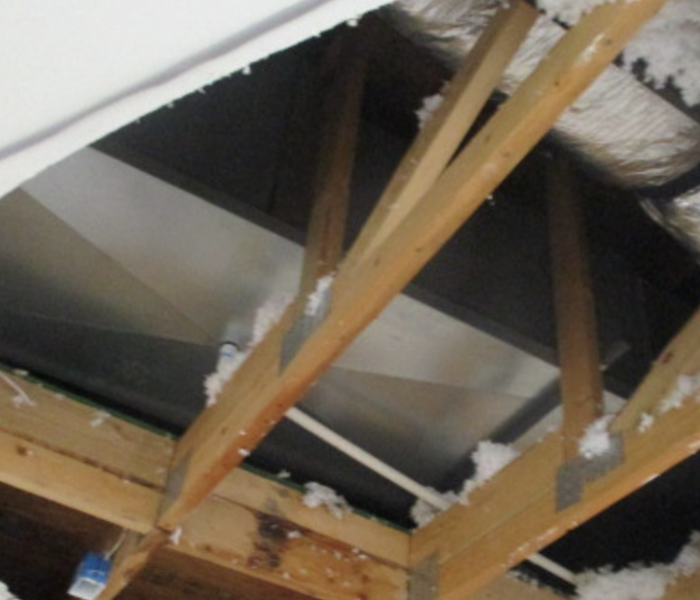 The insulation and drywall suffered from water damage. SERVPRO responded immediately to access the damage and start on repairs and rebuild. This home suffered from a water loss after a severe storm. There was significant amount of water in the floor leaving the carpet saturated. The walls were damaged. SERVPRO responded immediately and began clean up procedure. After a severe storm hit the Scottsdale area, SERVPRO responded immediately to begin clean up. 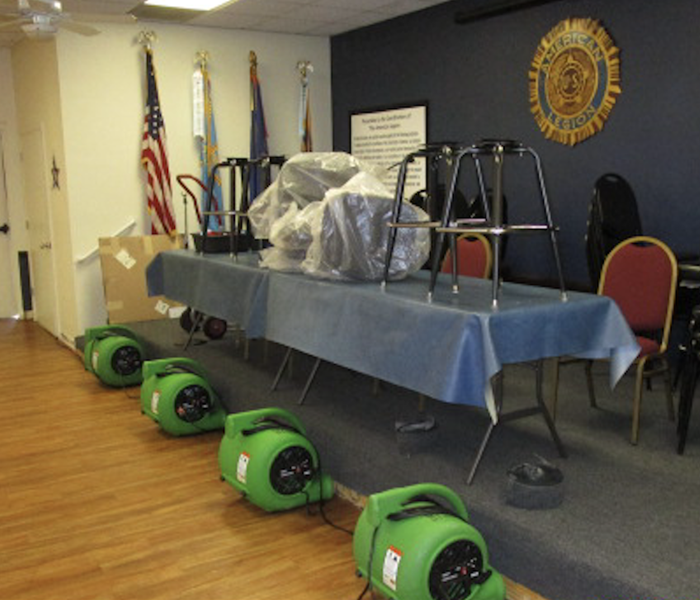 The air movers were put in place to dry properly keeping the water from creating further damages. 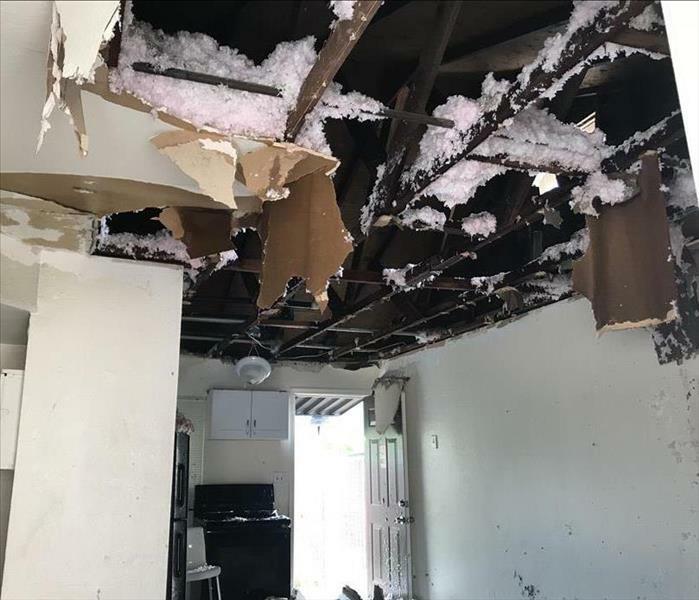 This Scottsdale property owners had no idea that one of their apartments had been abandoned with water damage for as long as it was. It was when they were notified of a foul smell from another tenant that they visited and found this mold eating away at the walls. After having it tested we were given the proper protocol on how to remediate it. 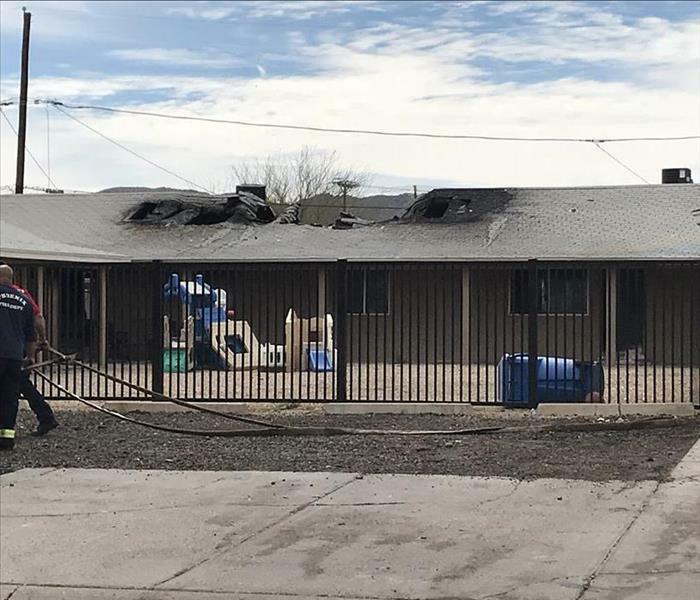 As you can see in this image, the roof of this structure was damaged by a large fire. If your home or business suffers from a fire loss, call us! We are faster to any size disaster. The apartment in this image was impacted by a large fire that did the damage you see pictured here. Our team was able to repair the damage and leave it looking "Like it never even happened." This kitchen was damaged by a fire and our team was brought in to clean up and repair the damage. 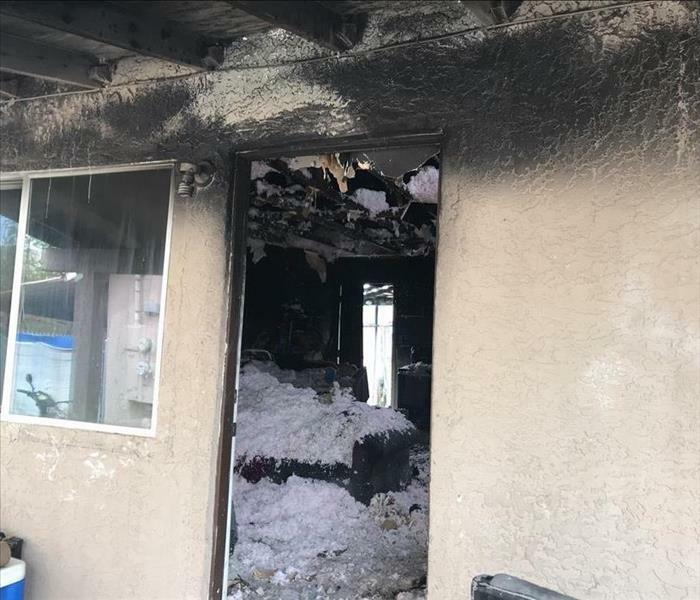 If your home suffers a fire like this one, call SERVPRO. We are faster to any size disaster. This structure suffered from a fire that did the damage you see pictured here. We responded quickly and got to work immediately on removing the soot, debris, and damaged material. If you have a fire like this, give us a call! 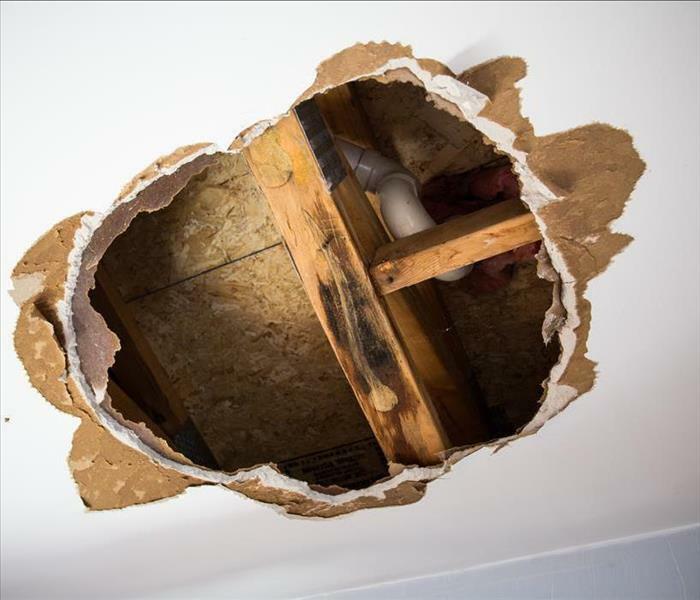 This home suffered a water loss due to a broken pipe in the wall. Our team came in and handled all the repairs quickly. If your home suffers a water loss, give us a call! This home suffered a heavy water loss and our team was called in to help. In this image you can see some of the equipment has been offloaded and staged for placement inside the home. This facility had a water loss situation and our team was called in to handle the clean up. Here you can see some of the equipment we use to help dry up all the excess moisture. 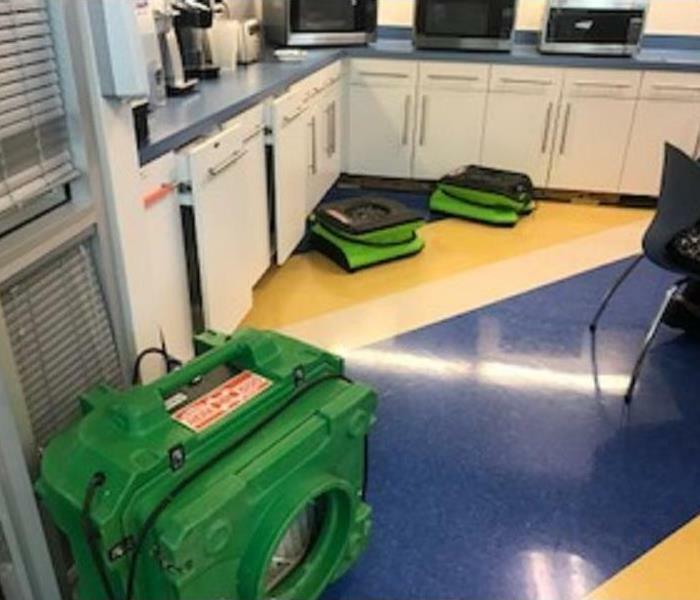 This facility had a flood that SERVPRO of Scottsdale was quick to respond to. Our team is quick to respond and mitigate the damages. It is important to makes sure the facility gets dried as quickly as possible to prevent secondary damages from happening. 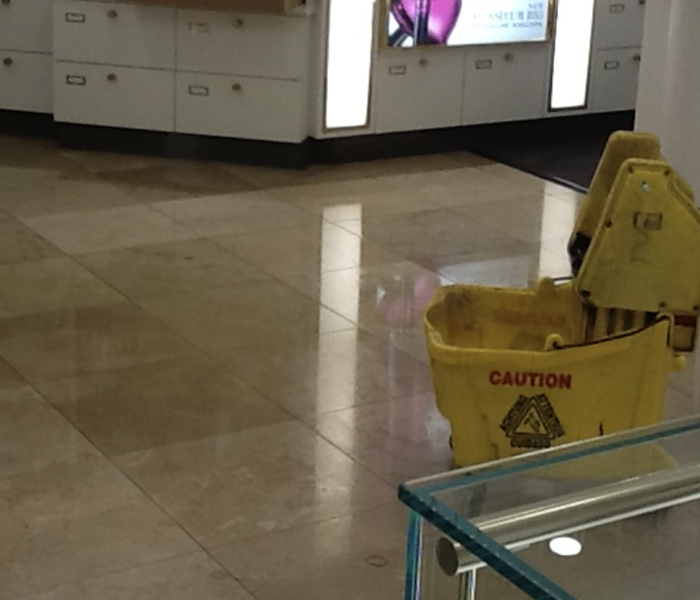 Water damage can cause significant damage to a commercial facility. 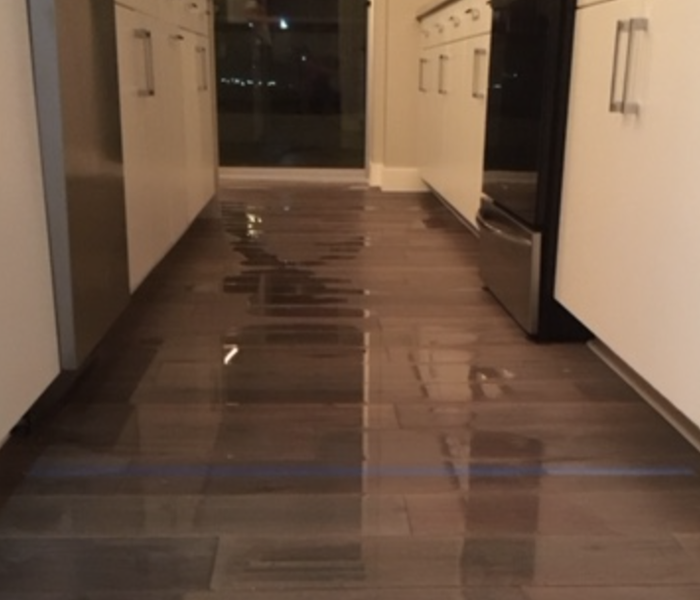 This property had a lot of water damage and SERVPRO of Scottsdale was quick to respond and begin the mitigation process. If you have any questions feel free to reach out to us at anytime. 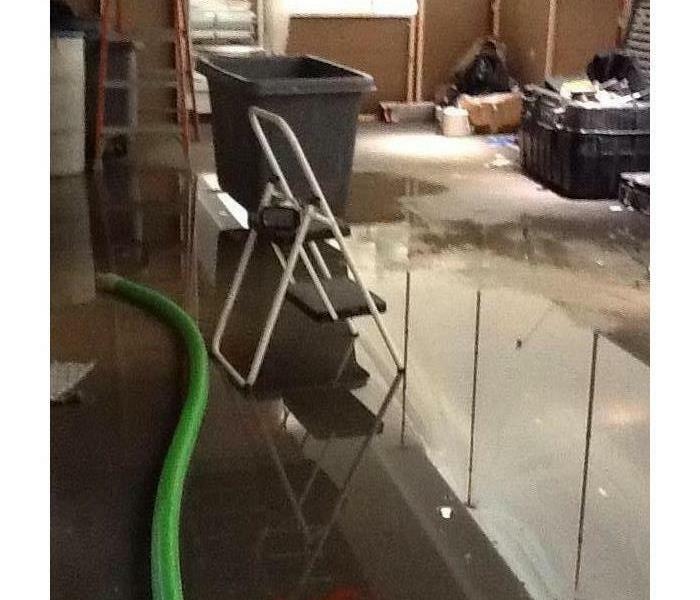 SERVPRO of Scottsdale was called to this water loss and was able to extract and get the facility dry quickly. If you have any questions about the water restoration process, feel free to contact us at anytime. 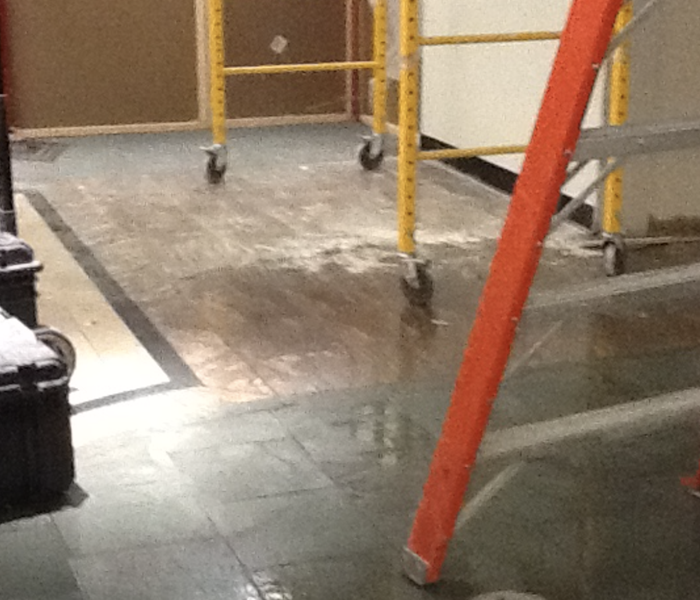 This facility had a massive water damage and SERVPRO of Scottsdale was called to cleanup. We were quick to respond and begin the cleaning process. Our team is trained and qualified to handle any size water loss. Our team responding to a water damage restoration in Scottsdale. We were quick to start extracting the water and get the drying equipment in place. Timing is critical to make sure secondary damages do not occur. 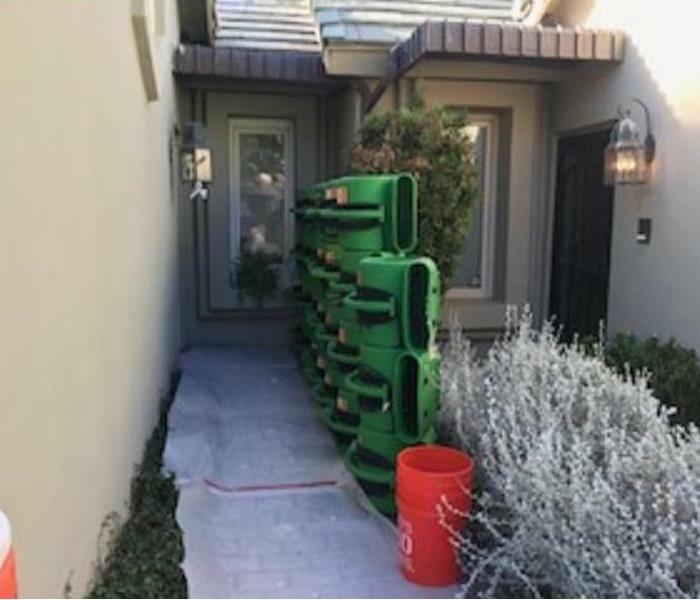 Our team is quick to respond in Scottsdale to start the drying process in on any water loss. SERVPRO of Scottsdale makes sure we are quicker to any situation to make sure we minimize damages and get the job done right.